DAC Vision North America was re-named DAC Technologies in 2018. Since 1994, the company operated as DAC Vision, the successor company to Semi-Tech and its subsequent acquisitions of Econ-O-Cloth in 1993; and Development Associates Controls (DAC) in 1994. Semi-Tech was formed in 1972; and Econ-O-Cloth in 1947 – both companies were manufacturers and distributors of lens processing supplies. After the acquisitions by Semi-Tech, the corporation changed its name to DAC Vision. 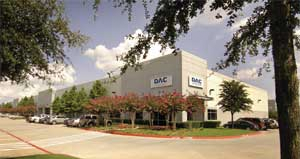 DAC Technologies continues to successfully expand its business worldwide and relocated to an expanded facility in Garland, Texas in August 2005. DAC Vision was partially owned and managed by Abaque Finance. Formed in 1998, Abaque is located in Aix-en-Provence, France. 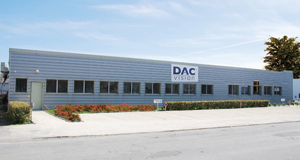 DAC Vision Europe was re-named DAC Technologies in 2019. DAC Vision EU was created by the combination of three entities – Curt, Hartfelt (Optical Division) and Cryo Techniques. These acquisitions were completed in 1998, 2001 and 2003 respectively. Combining these resources created the basis for a strong European based supplier of lens processing supplies. Curt was formed in 1977 in the town of La Rochelle on the French Atlantic coast. Operating initially from a small facility, a new factory was built in 2001 in Périgny, near La Rochelle. From this base, the company has established a reputation for product innovation and excellence as it continues to serve customers throughout Europe and beyond. All European manufacturing has been consolidated to the Curt facility. Hartfelt, formed in 1962 by Jørgen Hartfelt, added to our base, first from a plant in Allerød, north of Copenhagen, and now from facilities in Ishøj, a small town south of Copenhagen. The addition of Cryo Techniques, located in Périgny, France has marked our entry into the lens coating field. The company has continued to develop state-of-the-art hydrophobic and super-hydrophobic coatings, as well as providing the generic mineral stocks required to produce multi-layer anti-reflective lens coatings.